The cover of ShopNotes issue 87 features this router sled. 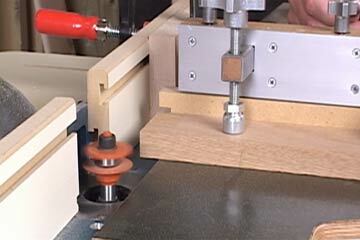 It solves the problems of routing across the grain of a workpiece. An MDF backing strip prevents tearout and the fence keeps the workpiece square to the bit.